All Purpose Transport has an extensive fleet of trucks, vans, and vehicles to accommodate all your transport and logistics needs. We offer a wide range of transportation services, from taxi trucks and refrigerated transport to furniture removal and delivery, and we always have the perfect vehicle for the job. Whether you’re looking for semi-trailer transport, crane truck services, or heavy haulage trucks, we can provide a solution for you in our huge selection of vehicles. All of our vehicles are operated by professional, uniformed, experienced drivers who deliver your goods on time, on budget, and in top condition. With our extensive fleet, competitive rates, and friendly drivers, you can rely on All Purpose Transport to get your goods where they need to be. We offer heavy haulage trucks and other heavy transport vehicles to accommodate your heavy haulage service needs. From warehouse relocations to dangerous goods cartage, you can trust All Purpose Transport to provide the perfect heavy transport vehicle for you. All Purpose Transport also has utes and vans to help with transport and logistics services, from moving home to delivering furniture. We have 1-tonne and 2-tonne vans, so you’re sure to find a vehicle to accommodate your goods. Vans – 1 and 2 Tonne. With an extensive fleet of reliable and capable vehicles, and a team of friendly and professional operators, make All Purpose Transport your first choice for transportation services. Get in touch today for a suitable transport and logistics solution. When it comes to transport services in Brisbane, you can trust All Purpose Transport to handle your goods with care. 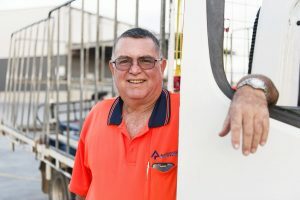 As Queensland’s largest fully qualified, privately-owned and operated transport and logistics operation, we’ve built a reputation for our professional drivers and on-time delivery. With over 40 years’ experience, we pride ourselves on providing an unsurpassable service you can rely on every time. 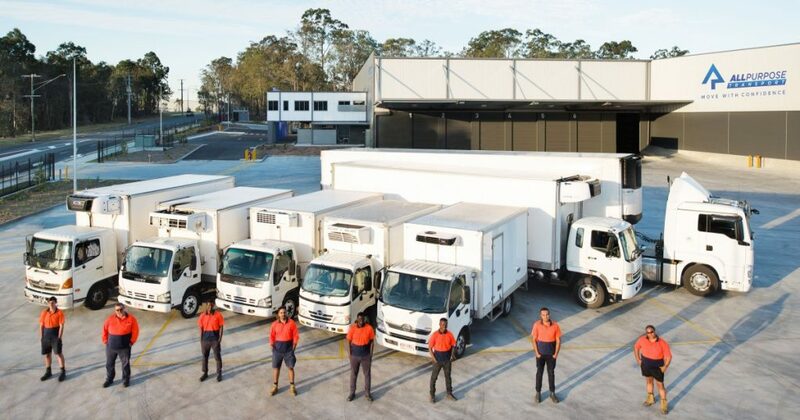 Whether you need a refrigerated delivery service, express delivery, or a taxi truck in Brisbane or beyond, All Purpose Transport provides a range of transport and logistics services all throughout Queensland. We specialise in a wide array of transport services throughout Brisbane and Queensland to help get your goods where they need to be – on time, on budget, and in top condition. Our courier service offers competitive rates and friendly, uniformed drivers. Our extensive fleet of couriers is operated by professional and experienced drivers you can count on. Each vehicle has a Mobile Data Terminal, GPS, Two Way Radio, and mobile phone for instant communication and full track-and-trace capability, including online Proof of Delivery. Your distribution needs are covered by our extensive fleet of heavy transport vehicles. We can accommodate all your heavy transport and heavy haulage service requirements with our pickup and delivery service. Transporting temperature-controlled products is easy with our refrigerated transport in Brisbane and beyond. We carry products ranging from -20° to +20° in our extensive fleet of HACCP-accredited refrigerated vehicles, available in a selection of sizes. 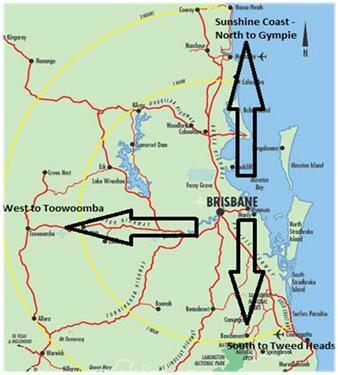 We provide taxi tracks on the Sunshine Coast and all across Queensland for your convenience. Available for hourly, permanent, and semi-permanent hire, we have a taxi truck to suit everyone’s needs. When you have a time-sensitive delivery, you can’t go past our hotshot express delivery service. Designed to get your goods where they need to be on time and without damage, our reliable and safe express delivery is your first choice for urgent deliveries. All Purpose Transport has been servicing Aussies’ transport and logistics needs for decades. With an extensive fleet of vehicles and a range of transport services across Brisbane and all throughout Queensland, you can trust us to get your goods from A to B on time and with the utmost care. To book or learn more about our transport and logistics services, get in touch with the friendly team today. For all your transport and removalist needs in Brisbane and Southeast Queensland, All Purpose Transport are the trusted professionals. We offer a range of transport services to safely get your goods where they need to be. We offer daily deliveries in the Brisbane area, extending as far north as Gympie, west to Toowoomba and as far south to Tweed Heads. If you require transport services outside of these areas, we also service parts of Regional Queensland as far north as Port Douglas on a weekly basis. There is a broad range of transport and courier services available. If you’re after furniture removalists in Brisbane or the Sunshine Coast, our team of highly trained professionals will ensure your possessions are treated with the upmost care and arrive to their new location in the same condition they were found in. No matter if it’s a big job or just a small one, your belongings will be safely cared for with us. We offer refrigerated transport services in Brisbane as well as throughout Southeast and Regional Queensland. Save your business time and energy, and find newfound efficiency by utilising our transport and delivery refrigerated service. Our services can be tailored to suit your specific needs. For the best Queensland commercial transport services, All Purpose Heavy Transport can help. We strive on providing on-time pickups and deliveries every day of the year. We provide heavy transport services such as warehouse relocations, interstate and intrastate services, and even dangerous goods transport in Queensland. Established as a trusted and premier courier, we can handle a range of courier needs, with urgent deliveries, hourly hire, and same-day delivery services in the Southeast Queensland area. All Purpose Transport are the leading transport company in Queensland. If you’re interested in employing our transport/courier services or have any questions, don’t hesitate to get in touch. Our friendly team of experts are more than happy to help you out. All Purpose Transport and All Purpose Removals service these areas on a daily basis. All Purpose Removals also services these areas weekly. 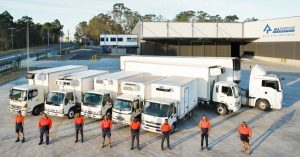 For over 40 years, All Purpose Transport Sunshine Coast has established a reputation as Southeast Queensland’s leading transport provider, and continues to strive in providing a high and competitive level of services to its customers. Whether it’s a taxi truck or heavy haulage that’s needed, All Purpose has it covered. 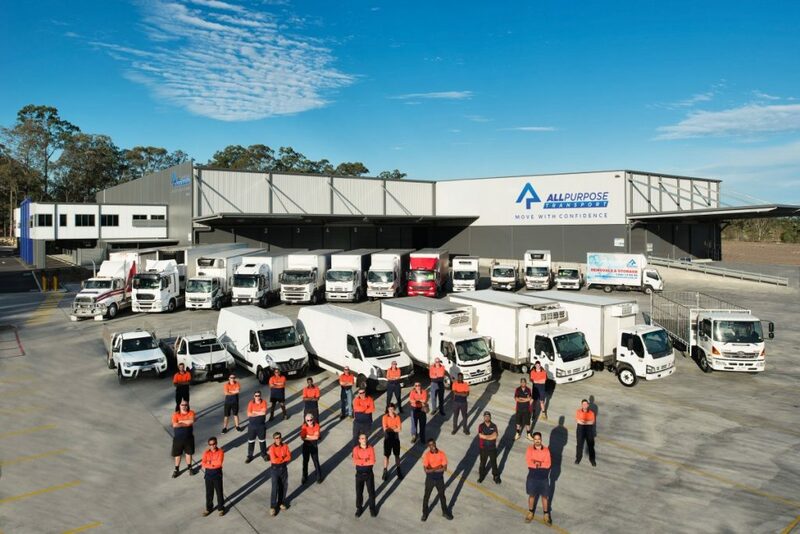 All Purpose Transport Sunshine Coast has a fleet of 25 vehicles that are continually undergoing reviews and upgrades. This ensures our customers’ requirements are met, safety standards and improvements addressed, and that equipment remains durable and available for service. Any job booked with All Purpose Transport in the Sunshine Coast by 8am can be assured of same day delivery to most areas. We service from Brisbane to Sunshine Coast, Gympie, Bribie Island, Maleny, Montville and Mapleton areas. Extensive range of vehicles ranging from 1 tonne utilities through to semi-trailers. We also have trucks equipped with tailgate lifters to provide extra assistance when a forklift isn’t available to unload, or if the freight is too heavy to unload by hand. 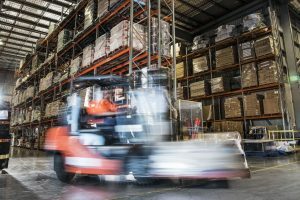 We offer a wide range of services including; hourly hire, same day pallet distribution, time sensitive deliveries, tailgate deliveries, permanent vehicle hire and carton and unique deliveries. We can pick up and deliver freight to and from the Brisbane ports, and we also cater for time-slot deliveries. Our vehicles are equipped with state-of-the-art technology. With first-class customer service and a wide range of vehicles, no job is too big or too small. All Purpose Transport is committed to providing a solution to meet any and all transport needs. With a wide range of transport options available, we are certain you’ll find the service to suit your requirements. Our team can assist with the home delivery of furniture stock on a continual or one-off basis. The furniture delivery team have the ability to utilise the necessary services to deliver to difficult-access areas such as apartments or low-set housing. Our taxi trucks come in a variety of dimensions and capacities to deliver in the Sunshine Coast area on an hourly, semi-permanent or permanent hire basis. With several kinds of taxi trucks available, customers can choose the appropriate taxi truck to complete the job. Refrigerated transport service will ensure temperature-controlled goods are maintained at the necessary temperature during transportation. We offer refrigerated transport on the Sunshine Coast, with services including time-specific delivery and permanent hire. From documents to pallets, All Purpose couriers specialises in the delivery of a range of products. We can cater for time-sensitive courier deliveries and will always have a suitable vehicle available. Operating every day of the year, we are the trusted transport company for heavy haulage. With an extensive fleet of vehicles available to manage any big delivery, you can rest assured your heavy goods will arrive safely and on time. 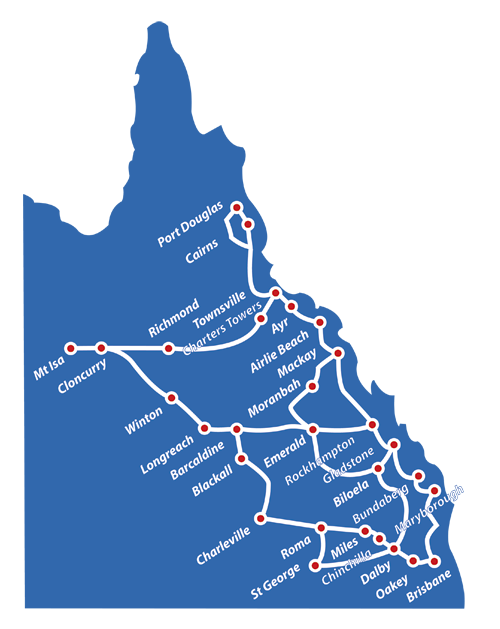 All Purpose Transport provides an extensive selection of transport options on the Sunshine Coast. Contact us today and let us find a suitable transport solution for you. All Purpose Transport specialises in providing outstanding express delivery services. Our CSG Tier One accredited service has operated successfully throughout Southeast and Regional Queensland as well as Northern New South Wales since 1975. Our extensive fleet range from vans to vehicles with 2, 4, 6, 8 and 10 tonne capacity. We also have tailgate, semi-trailer and b-double vehicles available for all express delivery services. Our equipment undergoes continual checks and maintenance to ensure they are always in top condition to carry out any job. No matter what time or day you require a hotshot delivery, our team are ready to drive the distance. You can trust your deliveries are in good hands when travelling with All Purpose Transport. We take every measure to ensure your goods are delivered on time in perfect condition. Our top priority for express delivery services is ensuring a safe and reliable delivery on every job. We guarantee the highest level of care for all hotshot deliveries, which is why we promise complete visibility with track & trace. Independently audited compliant safety systems in place. Strict monitoring and compliance with the customer delivery standards ensures all hotshot deliveries are transported in a safe and controlled environment. With door-to-door monitoring available for all express delivery services, you have complete confidence in knowing where your goods are at all times. All Purpose Transport have an excellent reputation for reliable and safe hotshot deliveries throughout Southeast and Regional Queensland. Get in touch today to enquire further about our offered services. All Purpose Transport offers our customers a full range of home furniture delivery services, which are handled by our experienced new furniture delivery teams. All Purpose Transport performs home deliveries for account or one-off customers on a daily basis throughout Southeast Queensland, and weekly throughout Regional Queensland. These services are completed by fully trained operators and offsiders with specialised equipment and vehicles that are especially suited to expertly transporting furniture, bedding, lounges and white goods. All Purpose Transport’s new furniture home delivery teams specialise in all types of deliveries. Whether your clients live in a low-set house or an apartment building, you can rest assured the product will arrive on time and safely. Our home furniture delivery service ensures your client’s goods are transported with a professional and caring company. Our retail customers can feel confident entrusting their furniture with us, knowing we have the expertise and superior equipment to do so proficiently. We can handle any furniture delivery job in the Brisbane, Gold Coast and Sunshine Coast area, no matter how small or big. Your clients will appreciate their new furniture has been meticulously looked after from start to finish. Our professional team will always maintain the upmost level of respect and dedication, which reflects well on our retail customers. We understand your client’s top concern is getting their new, expensive appliance into their home safely and quickly. We’ll make sure their white goods are delivered on time and in perfect condition. Televisions, refrigerators, washing machines and dishwashers are bulky yet delicate items that need to be transported with highest care to avoid any damage or scratches. All Purpose Transport understands their customer’s products and what’s involved in transporting them safely. We’ll make sure all white goods arrive safely to their new location. We’ll always make sure the appropriate vehicle and equipment is dispatched for white goods to guarantee a smooth delivery. We understand home delivery is a personal task, which is why our delivery team takes entering your client’s homes very seriously. All Purpose Transport provides a highly professional home furniture delivery service, and will always be respectful and pleasant to your clients. With our team of specialists, advanced equipment, and extensive access to external resources, we are able to deliver to any apartment or house. No home is too difficult to deliver to, and no job too strenuous. Where access is difficult, we have the ability to utilise services such as balcony cranes and hoists to complete your delivery safely. We’ll always find the right delivery solution to suit the needs of our retail customers and their clients. All Purpose Transport carries out daily furniture deliveries throughout Southeast Queensland, including Brisbane, Gold Coast and the Sunshine Coast. If you’re looking for a home furniture delivery service for your business’s furniture, lounges, bedding or white goods, contact us today. All Purpose Transport has over 35 years of experience in providing high-quality 3PL (Third Party Logistics) services and general storage solutions. We have an extensive range of warehouses and infrastructure in Brisbane that enables us to meet your warehouse storage needs. Along with our large fleet of specialised vehicles, we can deliver a Total Logistics Solution for your business. In addition to operating from our own warehouses, we are experienced in providing warehouse storage services for our customers from their own premises. Choose All Purpose Transport with your warehousing and distributing needs to streamline your processes for improved business logistics. With professionalism and experience combined, All Purpose Transport creates warehouse storage solutions tailored to meet your business’s needs. We implement the best systems and practices with excellent management capabilities that ensures our warehouse storage provides a safe, compliant and efficient storage space for a variety of industries. When it comes to warehousing and distribution, All Purpose Transport is the name to trust with quality logistics solutions. Contact us today to enquire further on our offered services. All Purpose Transport’s refrigerated transport services operates throughout South East and Regional Queensland and Northern New South Wales. Our HACCP (Hazard Analysis and Critical Control Points) accredited transport service carries temperature-controlled products from -20o to +20o so you can be sure your goods will be delivered with freshness and quality intact. 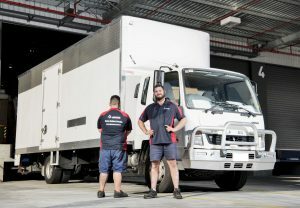 For those who required refrigerated transport in Brisbane, the Gold Coast or Sunshine Coast, our All Purpose Transport team are efficient, dedicated professionals committed to providing excellent refrigerated delivery service. We have an extensive fleet of refrigerated vehicles available to handle any and every refrigerated delivery request. We have a range of sizes to choose from, with 1-tonne vans through to 22 pallet trailers. This includes 2, 4, 6, 8, 10, 12 and 14 pallet rigid vehicles capable of transporting your goods safely and quickly. Our division operates 24/7 to service our extensive list of Blue Chip Clients for upmost convenience and quality. You can trust the experts at All Purpose Transport for your refrigerated transport needs across the Brisbane, Gold Coast and Sunshine Coast areas. Contact us today to receive a direct quote. All Purpose Removals is a privately owned family business specialising in home and office removals throughout Queensland and Australia. 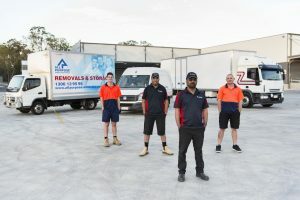 Operating a 7-day service in the Brisbane, Gold Coast and Sunshine Coast areas, All Purpose Removals forms part of the All Purpose Transport group. Our team has been servicing the transport industry for over 40 years, with an excess of 200 vehicles in action, from couriers through to semi-trailers and furniture Pantech trucks. Working exclusively through the use of contracted full-time owner drivers, our removalists are fully invested in providing customers with the best possible service. We have an extensive range of furniture removal services to assist with every home and office relocation in Brisbane and beyond. We can provide furniture removal solutions for every situation. Our diverse removal fleet gives us the flexibility to perform both small and large removals with no additional stress on your end. Our removalists will ensure you receive the best value for money and can provide you with a fixed quote on any of our furniture removal services. Interstate (capital cities and surrounding areas). Any move is certain to bring stress and our removalists aim to alleviate as much pressure for you as possible. If you require assistance with the packing process, All Purpose Removals offers a premoval service that can be tailored to do as little or as much as you need. It can also include an unpacking service on arrival at your destination. Our home and office removals service is all-inclusive to make for an effortless, efficient relocation. Simply choose which services suit you best and make your booking. Our removalists have the experience and training to ensure your belongings are delivered safely, securely and on time so you can feel confident trusting All Purpose Removals with all your removal needs. For complete house, office and furniture removal services, All Purpose Removals has you covered. Contact us today to arrange an obligation-free quote. All Purpose Taxi Trucks is comprised of an extensive fleet of vehicles, servicing Brisbane and the greater Southeast Queensland region. Our taxi trucks have varying dimensions and capacities to accommodate for bulk loads, and are available for hourly, permanent and semi-permanent hire. All Purpose Taxi Trucks also have the capability to carry dangerous goods throughout the Brisbane region. Each taxi truck is equipped with GPS tracking, a 2-way radio and mobile phone to ensure there’s communication with the operator at all times, and full track & trace is covered. 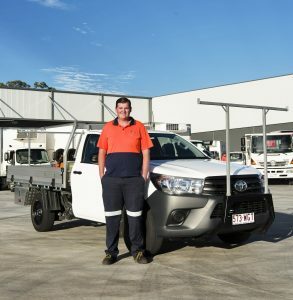 All Purpose Taxi Trucks in Brisbane continually provide outstanding service with every job; we’ll make sure your goods are delivered safely and efficiently. We have a large and diverse on-demand fleet available for any occasion. Wherever pickup and delivery in Brisbane and throughout Southeast Queensland is required, our taxi trucks are always on hand. We can even provide same-day pickup and delivery depending on your needs. Qualified & trained fleet working with the latest technology. Our Taxi Truck division provides professional drivers with modern vehicles for permanent or semi-permanent hire in Brisbane and the Southeast Queensland region. Hourly, daily and weekly rates available. Our Pallet Distribution Service provides same-day delivery in Brisbane and throughout Southeast Queensland. It’s the perfect solution for small to medium and even large users who require a safe and cost-effective pick-up and delivery service. For trusted taxi truck service in the Brisbane and greater Southeast Queensland region, All Purpose Transport are the professionals to trust. All Purpose Taxi Trucks provides the same service capabilities in the Gold Coast and Sunshine Coast areas. Whether it’s hourly hire, permanent, semi-permanent or pallet distribution required, our fleet of taxi trucks assure excellent service on every job. With the sizing and capacity to suit any delivery of goods along with every measure in place to ensure full track & trace, All Purpose Taxi Trucks Gold Coast and Sunshine Coast is the company you can feel confident using. To hire a taxi truck with All Purpose Transport in the Brisbane, Gold Coast or Sunshine Coast areas, get in touch with us today. of moving Australians with confidence!